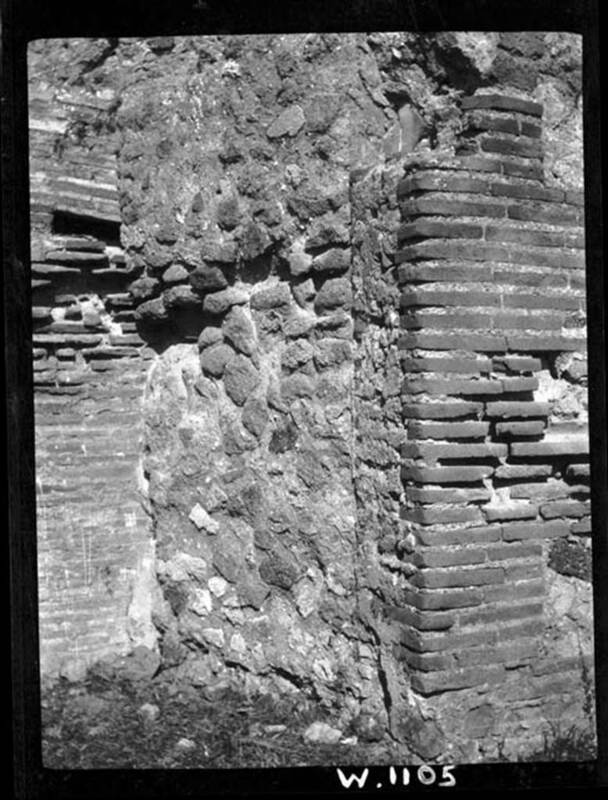 VI.9.7 Pompeii. March 2009. Room 15, cubiculum. VI.9.7 Pompeii. March 2009. Room 15, north wall of cubiculum with arched niche. “in one of the rooms (now in ruins) behind the atrium entered at no.7 in the north wall is an arched niche with projecting floor”. 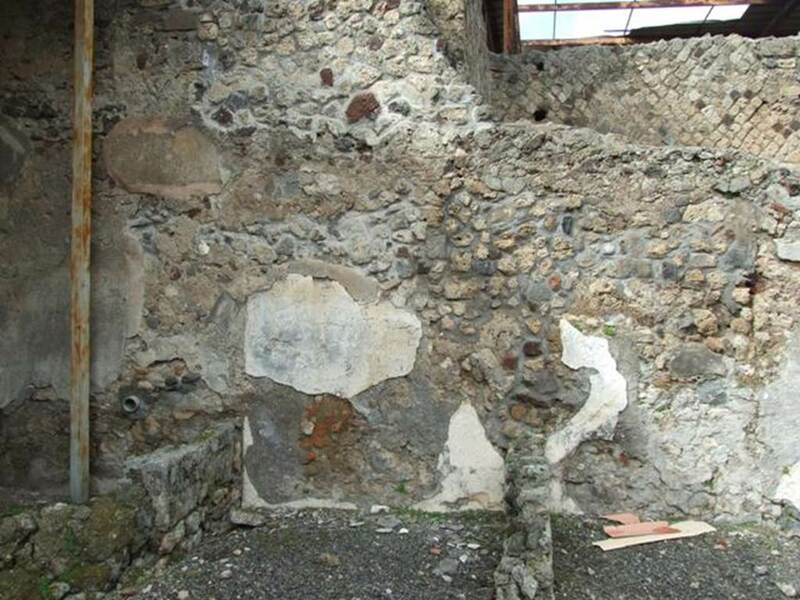 VI.9.7 Pompeii. W1102. Lararium niche in north-west corner of room 15. VI.9.7 Pompeii. March 2009. 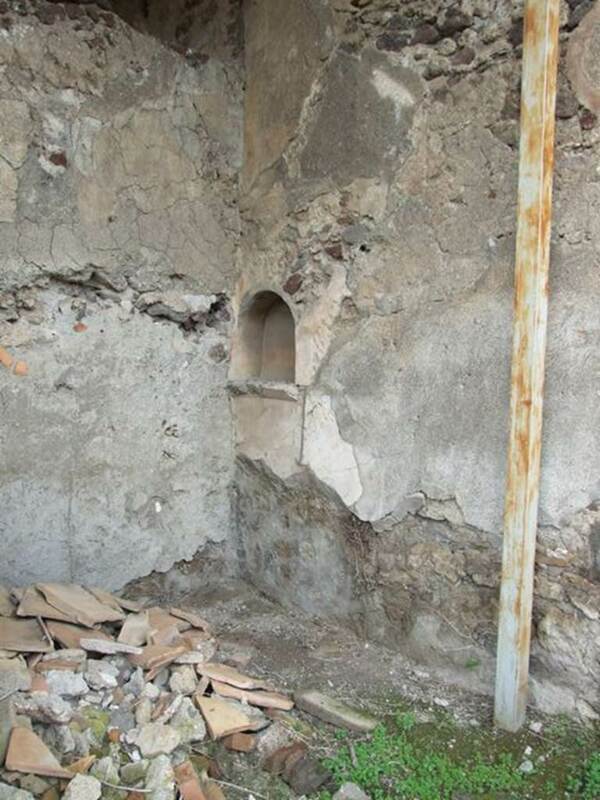 Room 15, arched niche in north wall. 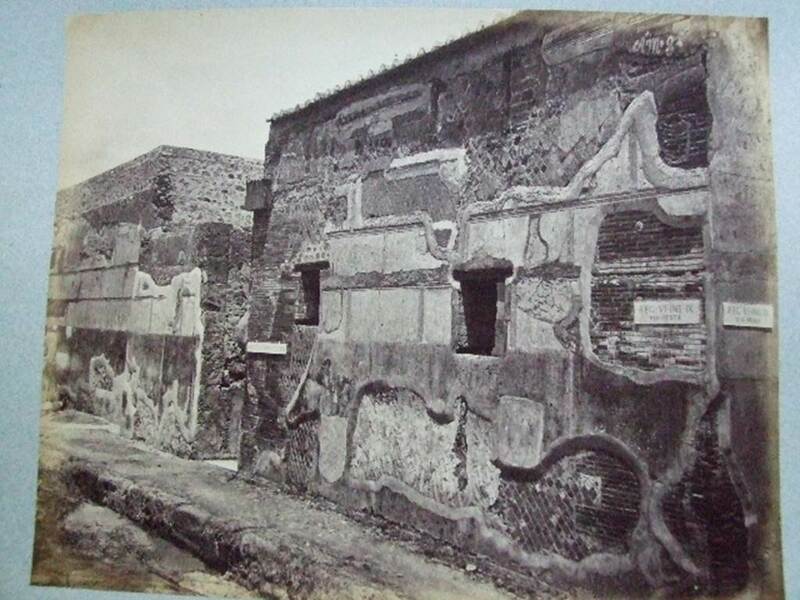 VI.9.7 Pompeii. March 2009. 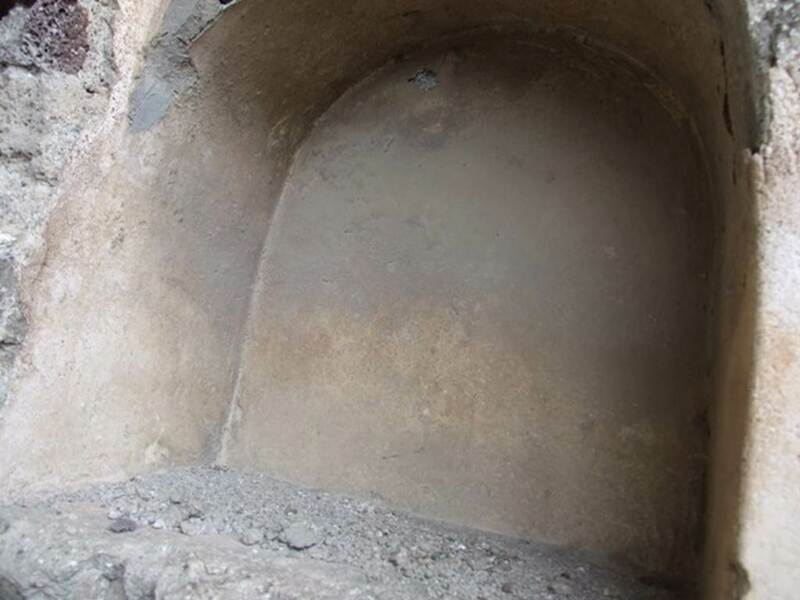 Room 15, plaster from north wall, underneath niche. VI.9.7 Pompeii. March 2009. Room 16, cubiculum, looking north. VI.9.7 Pompeii. March 2009. Room 16 and room 17, cubicula, looking north. VI.9.7 Pompeii. March 2009. Doorway to room 17, cubiculum. 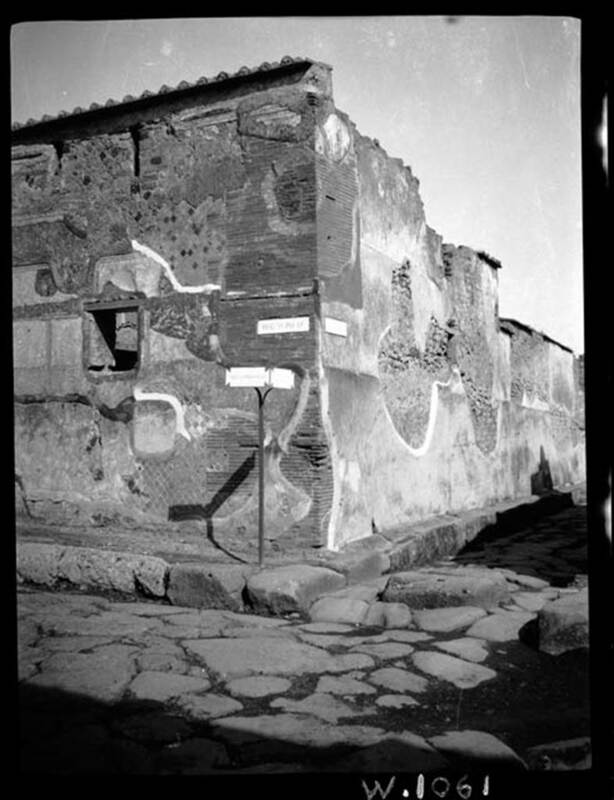 VI.9.7 Pompeii. March 2009. Room 17, cubiculum, looking towards north wall. Looking east along north portico of garden towards blocked wall to VI.9.6, and entrance to stables area at VI.9.8. Rooms 16, on lower left, and room 17 can also be seen. Looking north past pilaster in stable 18, which would have been entered from VI.9.8. The blocked doorway into VI.9.6 at the end of the north portico of the garden area, can be seen on the left. VI.9.7 Pompeii. W1105. Blocked doorway from 6.9.7/8 into rear rooms of 6.9.6. 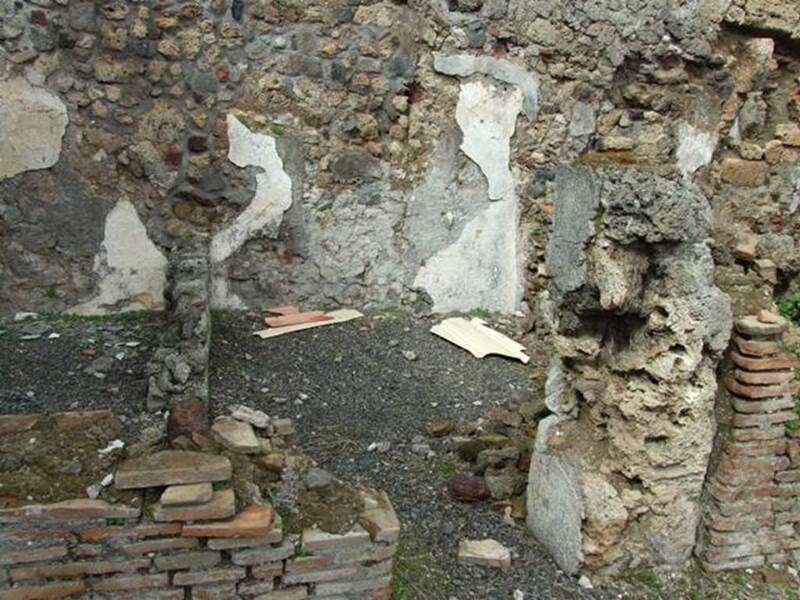 VI.9.7 Pompeii. December 2006. Front wall and entrance on Via di Mercurio. 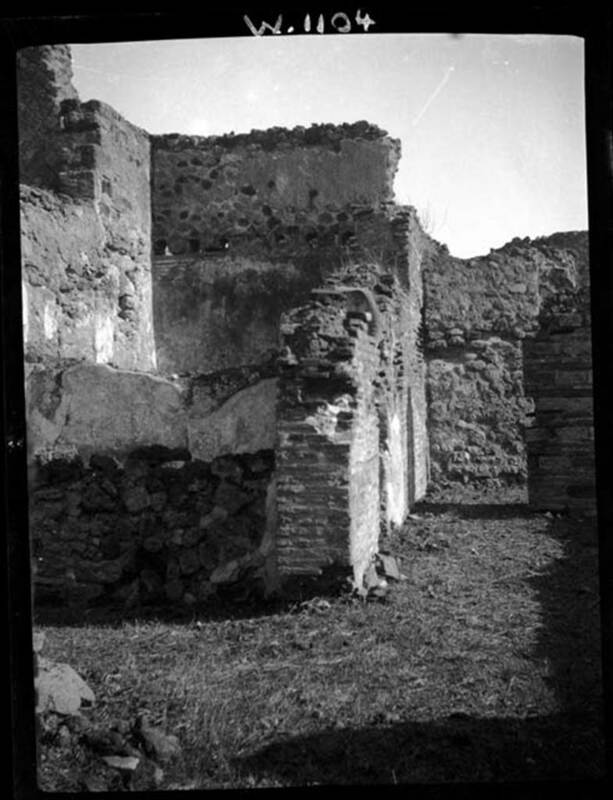 VI.9.7 Pompeii. Front wall and entrance on Via di Mercurio. VI.9.7 Pompeii. December 2006. Corner of Via di Mercurio and Vicolo di Mercurio. VI.9.7 Pompeii. W 1061. 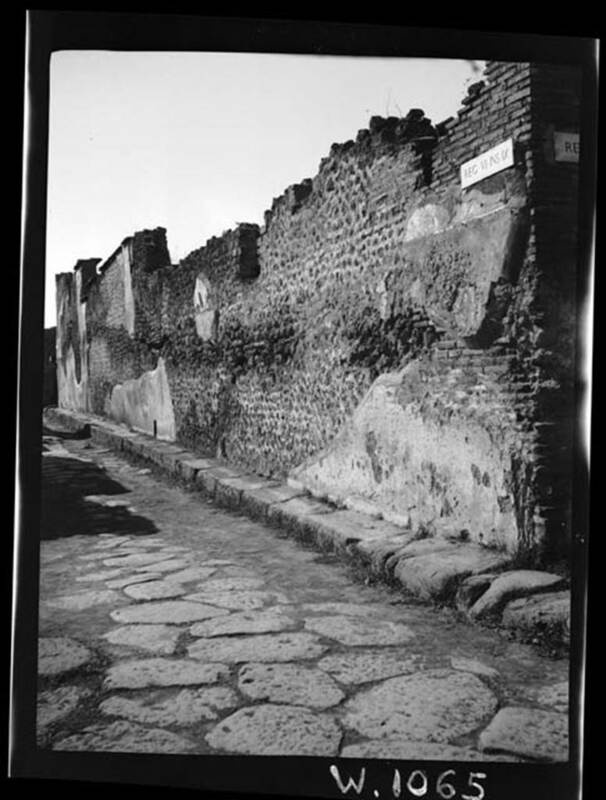 South-west corner of VI.9, and Vicolo di Mercurio (on right). VI.9.7 Pompeii. W.1047. Looking east along Vicolo di Mercurio, from junction with Via Mercurio. VI.9.7 Pompeii. W1065. Complete exterior south wall in Vicolo Mercurio, taken from junction on east side, looking towards west end.